With SalesExec notifications system you now have the ability to turn your lead management system into a central command unit. We have built a dynamic notification system that sends push notifications for major events that occur in the lead lifecycle. Your agents will be informed in real-time via email, model window, and are able to pull leads within seconds of them hitting your lead management system. Always be informed and ready for appointments and improve your agents ability to handle lots of appointments. 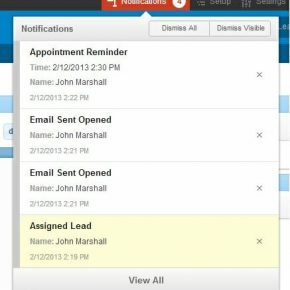 Additionally with our shared calendars you can easily increase the number of appointments an appointment setter can make for your sales team. Know instantly when a potential lead opens an email. This tool is extremely valuable and helps your sales team know when to present new material to leads in the nurture process. 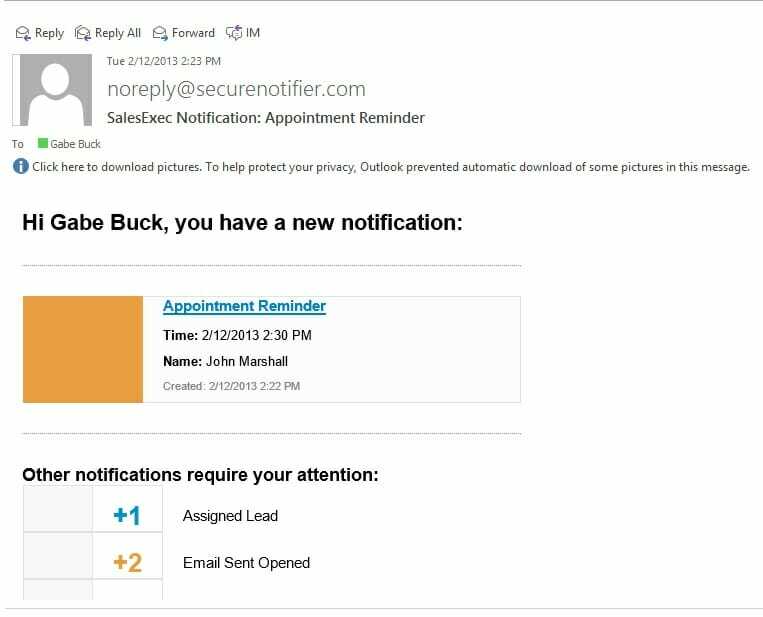 With email notifications your sales agents can see how many new leads have been assigned to them and how many emails have been opened. You can build nurture campaigns and marketing campaigns around open messages and increase your closing ability by as much as 20% or more. This entry was posted in ClickPoint News and tagged email notifications, lead lifecycle, Lead Management, Lead Notifications, Nurture Leads, push notifications on February 18, 2013 by Gabriel Buck.